Landing pages are a crucial element of any online marketing strategy. Unlike a normal webpage, a landing page has just one function i.e., to convert and thats the reason they're so effective. Landing pages are used at various stages of a sales funnel. For example, a lead capture landing page would be used at the top of the funnel to convert visitors into subscribers and a sales landing page would be used at the bottom of the funnel to convert subscribers into customers. If you were to create a landing page on your own, you'll need to know how to code, have good design skills and spend numerous hours testing various elements before you can create a highly effective landing page. Luckily, there are a lot of landing page builders around that make creating landing pages easy for everyone, even for those who don't have any coding or design skills. In fact there are so many options that figuring out the right landing page creator can become pretty confusing and frustrating. 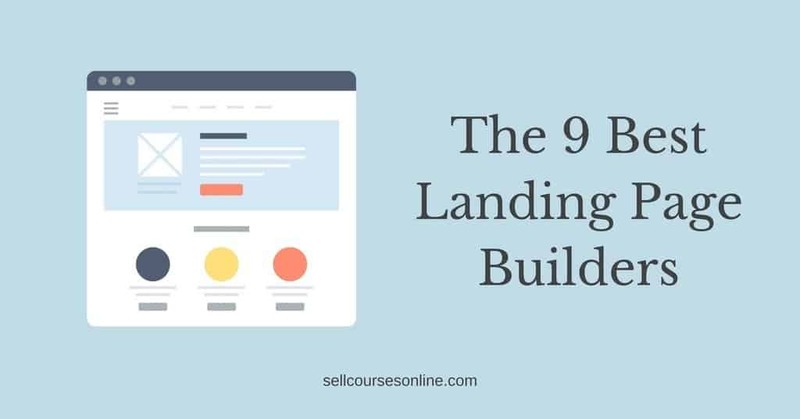 In this guide, I will discuss the 9 best landing page builders in the market and how you can choose the right one for your business. All the landing page solutions can be categorized into: hosted builders and WordPress based builders. The main difference between the two is that a hosted landing page builder takes care of most of the tech aspect including hosting, security & maintenance and you can use them without requiring to build a website. However, a WordPress landing page creator requires you to have a WordPress site and only then you can build landing pages. Creating & running a WordPress site requires you to take care of hosting & maintenance and is full of hassles and so, go this way only if you're tech savvy. A hosted landing page builder is a better option for most people and I recommend that you build landing pages on WordPress only if you already have a WordPress site and you're on a really tight budget. Let's discuss some of the most important things that you should consider while choosing the right landing page builder for your business. The best landing page builders must have an extensive library of pre-built templates. 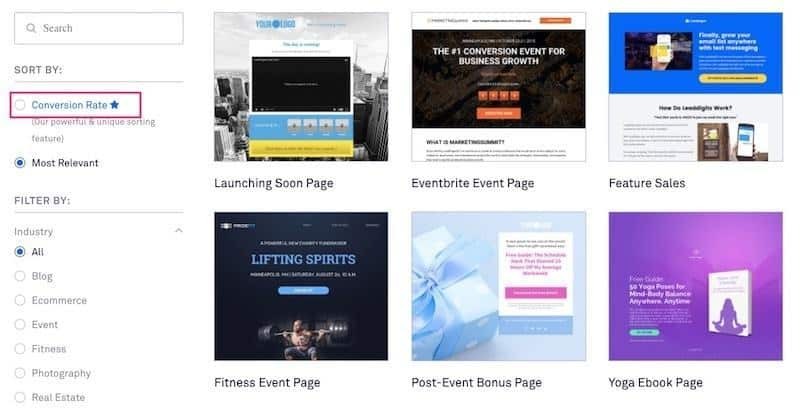 These templates allow you to build high converting landing pages quickly even if you have zero design skills or little experience building landing pages that convert. The idea of having landing page templates is not just to allow you to build pages quickly, rather it is to let you build pages that have a proven track record of conversion. Are the templates well designed or not? How extensive is the templates library? 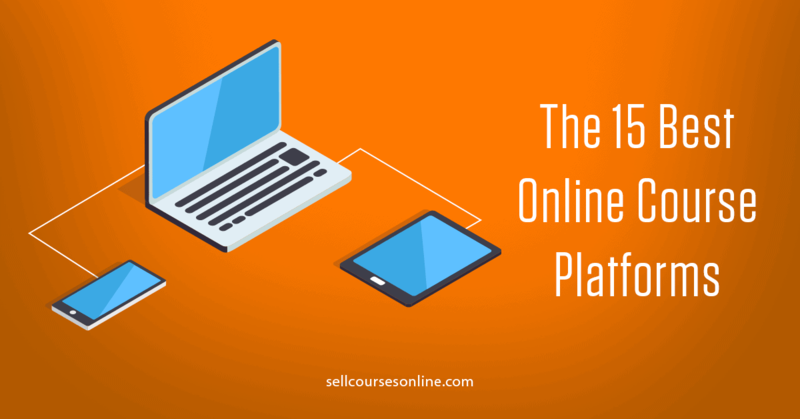 What types of templates (lead generation, webinar, sales etc.) are included? Does it have templates for various niches? While landing page templates are a great starting point, you’ll always need to make changes to them to personalize your landing pages and that's when the page editor comes handy. Any good landing page builder should include a drag-and-drop, visual page editor that's easy to use but at the same time is flexible enough to let you create any design you want. Any landing page builder that you are considering should allow you to build landing pages that are mobile responsive out of the box. Testing your landing pages is one of the most important parts of any successful landing page strategy and it's absolutely critical to improving your landing page conversions. You might not do A/B tests on your landing page in the beginning but you must select a landing page builder that allows you to do A/B tests (if it doesn't, I call it a webpage builder rather than a landing page builder). Unless you're using an all-in-one solution, you will need to integrate your landing page builder with other online marketing tools. For example, you would want to send the collected leads to your email service provider or you might want to register them for a webinar. The best landing page builders should integrate with the popular online marketing solutions (email service providers, webinar platforms etc.) including with Zapier. While these are some of the most important features that your landing page software must have, it's always great for the software to have other handy marketing features and obviously their utility depends on your specific requirements. Let's consider Dynamic Text Replacement. With Dynamic Text Replacement, you can personalize your landing pages by tailoring the message to visitors’ keyword search terms. If you run Pay-Per-Click (PPC) ads, this will allow you to quickly improve your PPC performance. Another example would be real time collaboration. Some landing page builders allow you to collaborate in real time and if you're an agency or a marketing team, this can be a game-changing feature for you. So, you must consider your specific requirements in addition to the most important features before choosing a landing page solution. First, let's take a look at a few of the best landing page builders (hosted solutions) out there. These are going to be the best option for most people. ClickFunnels is the most unique tool in this list as it lets you build an entire sales funnel rather than just a landing page. The sales funnel builder includes multiple pre-built sales funnel blueprints (e.g. Lead Magnet Funnel, Product Launch Funnel, Webinar Funnel etc.) and each of these blueprints have multiple templates for you to choose from. 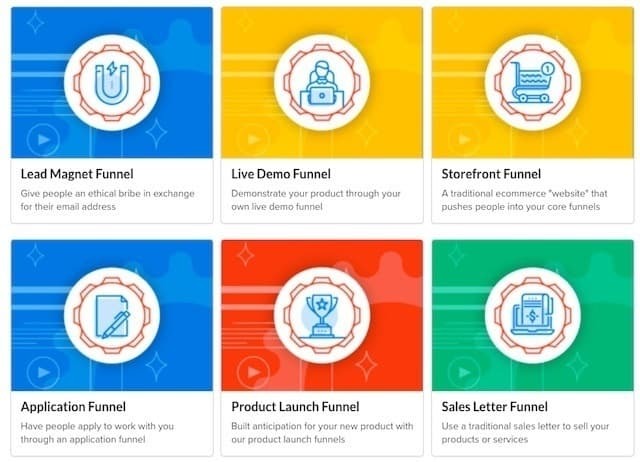 As part of a sales funnel, ClickFunnels lets you build all the pages including the checkout pages, accept payments, add upsells and downsells and even build a membership site. Actionetics - ClickFunnels marketing automation platform that allows you to setup automated follow up emails for your funnels. BackPack - ClickFunnels affiliate system that allows you to create and run an affiliate program for your funnels. As far as pricing is concerned, ClickFunnels offers two plans, the lower tier is called Startup Plan and it costs $97/month. It includes the Sales Funnel Builder and you can build any type of sales funnel including membership sites on this Plan. The Startup plan also limits you to 20 funnels and 20k unique visitors. The higher tier is called Etison Suite and costs $297/month. On this plan, you get access to everything that ClickFunnels offers including Actionetics and BackPack. ClickFunnels is certainly pricier than most landing page builders included in this guide. However, if you consider everything that ClickFunnels does, you'll find that ClickFunnels is reasonably priced. If you just need to build a few landing pages for collecting leads, you don't require ClickFunnels and you shouldn't be spending your money on it. However, if you're looking to sell your products or services, you should definitely consider using ClickFunnels and you can start a 14-day free trial by visiting their website. Leadpages is the most popular landing page builder in the market. It has 130+ high converting landing page templates and you can use their drag-and-drop page editor to customize the templates. So, Leadpages is a complete package for collecting leads and they're slowly building other features like inbuilt checkout that will help them compete with tools like ClickFunnels. 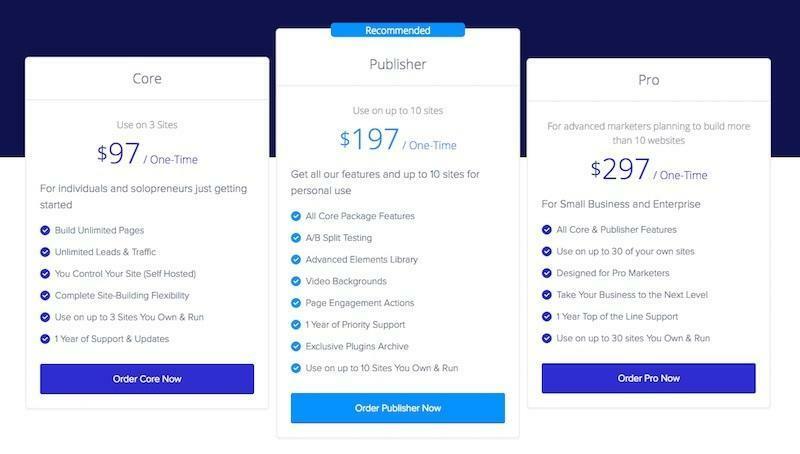 As far as pricing is concerned, Leadpages offers three plans and the lower tier is called Standard Plan and costs $37/month ($25/mo paid annually). The Standard Plan allows you to build unlimited landing pages and popups. What it doesn't include is A/B testing, Leaddigits, Leadlinks and also their Checkouts feature. These are available on the Professional Plan which costs $79/mo. The highest tier is called Advanced Plan and costs $2388 per year and this plan is for marketing teams & agencies. Compared to other landing page builders, Leadpages certainly doesn't have the best designed landing page templates or the most powerful landing page editor. However, Leadpages offers some really handy lead generation tools and is very reasonably priced. If you're looking for a value-for-money lead generation tool (which obviously includes landing page builder), you must consider using Leadpages (14-day trial available). Instapage is the most powerful landing page creator in the market. It has the most extensive template library which has 200+ landing page templates and if required, you can buy additional templates from ThemeForest. Instapage offers just two pricing plans. The 'Core' plan costs $129/month and includes all the core features required to build a landing page. It doesn't include features like A/B testing and Heatmaps which are only available on the 'Optimizer' Plan. Instapage also has a plan for teams and agencies and it costs $229/month. On all its plans (except the custom Enterprise Plan), Instapage limits the number of unique visitors to 200,000/month. Instapage is much pricier compared to Leadpages and it doesn't have some of the handy features like ability to create popups on other than landing pages or SMS opt-in codes etc. However, if you evaluate Instapage purely on it's landing page building capability, there is no better tool in the market than Instapage. It offers a 14-day free trial and you must consider using it if you're a PPC marketer or a marketing agency. Unbounce is another popular landing page service, its also the oldest in the market. Unbounce has 100+ conversion-focused templates that you can use for landing pages, popups etc. Unbounce has a powerful, free-form page editor which allows you to place elements precisely where you want and it also includes features like Dynamic Text Replacement and allows you to create popups and sticky bars that can be used anywhere on your site. 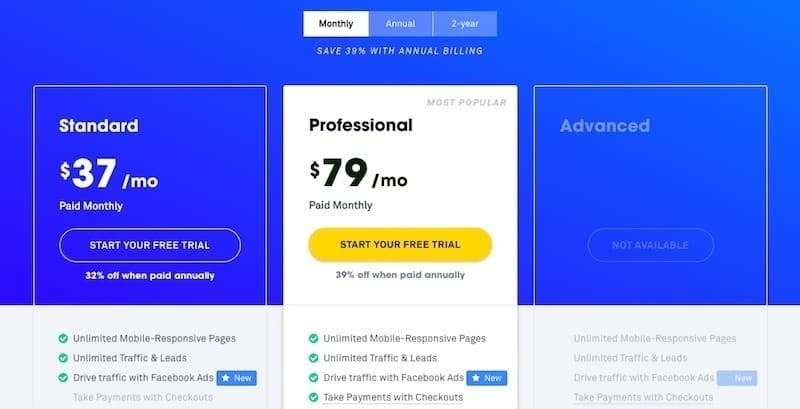 Unbounce pricing starts from $99/month and allows you to create upto 75 landing pages and 8 popups. The next tier is called Premium plan and costs $199/month and it allows you to create 150 landing pages and 16 popups. The traffic on all Unbounce plans are limited to 500k per month and if you cross that limit, you'll need to upgrade to a custom-built Enterprise plan. Even though Unbounce is a feature-rich platform, it's not as easy or intuitive to use as either Leadpages or Instapage. Moreover, it's much pricier compared to the both the solutions and I don't recommend Unbounce if you're a solo marketer. However, if you're a marketing team or an agency, you can consider using Unbounce (30-day free trial) as you can make a much better use of the platform and its features. Landingi is one of the best landing page builders from a user design perspective. It includes a Free-form page editor thats simple and intuitive but at the same time is really powerful. Landingi has 100+ landing page templates that look fresh and pretty but I find them a little distracting for a landing page. I don't have data to support it but I think their templates won't be as good as Leadpages or Instapage from a conversion point of view. Landingi's pricing starts at $39/month and it includes all the essential features that you require to start building landing pages. The next tier is called Automate and costs $69/month and includes features like A/B testing and advanced integrations. Their agency plans cost $149 and $249 per month respectively. There are a couple of things that I like about Landingi's pricing: no limit on traffic and pages and flexibility to pay in monthly, quarterly, semi-annual or annual instalments. Like Leadpages, Landingi is another value-for-money landing page software and you can consider using it if you're looking for a simple yet powerful landing page editor. Lander is another landing page creator in the market and it includes 100+ landing page templates which you can customize using their drag-and-drop page editor. Lander also includes a few handy features like Dynamic Text Replacement and ability to integrate with Facebook. Lander's pricing starts from $49/mo and the Basic Plan limits the number of visitors to 3k per month (that's insane). The Professional Plan costs $99/mo and allows upto 25k visitors per month. Their Pro Plus Plan costs $199/mo and is suitable for marketing teams. Lander is just another landing page builder and it isn't as feature rich or well designed as either Instapage or Unbounce or even Leadpages. In fact they lack some essential features like ability to create popups and their page editor is not as good as well. However, their pricing is insane and hard to justify. Lander is certainly not the 'Apple' of landing pages and you should never be paying $49/month for 3k visitors for a below par landing page solution (obviously I don't recommend it). You can also build landing pages using WordPress plugins. However you'll need a WordPress site to build landing pages using this option and I recommend it only if you're WordPress-savvy. Thrive Architect is part of the marketing suite offered by Thrive Themes. It includes 100s of landing page templates for squeeze pages, sales pages, webinar registration pages etc. Thrive Architect has a powerful drag-and-drop page editor that's easy to use and allows you to build any design you want. 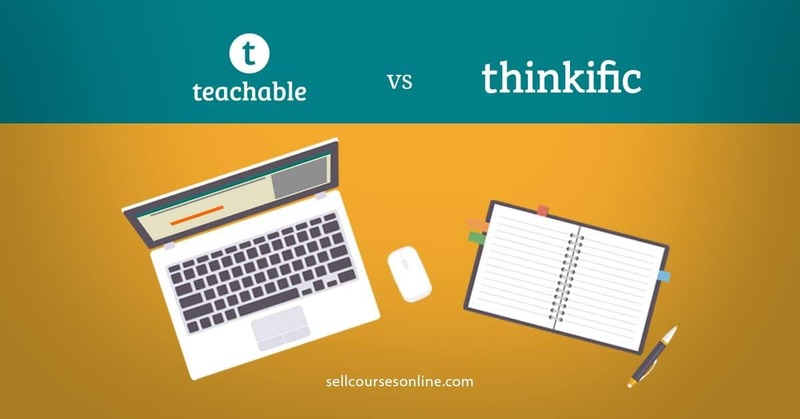 It didn't have inbuilt A/B testing capability for long and only recently they introduced an add-on called Thrive Architect that allows you to run A/B tests on your landing pages. 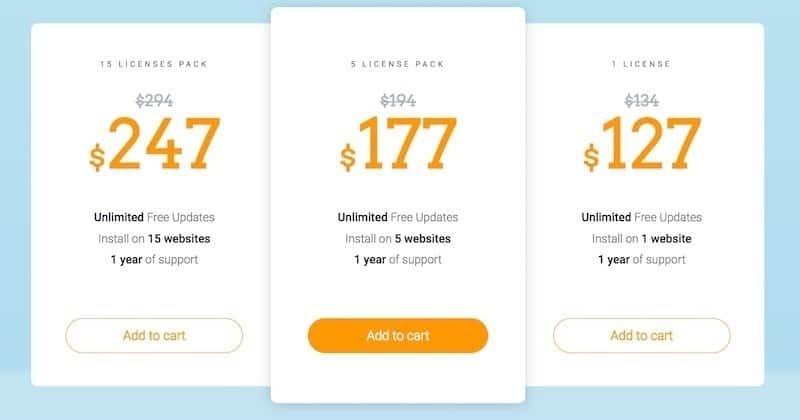 Thrive Architect is very reasonably priced at $134 one time payment (includes Thrive Optimize add-on) for 1 site license and you can buy additional licenses by paying extra. You can also subscribe to their monthly membership and get access to all the Thrive tools including Thrive Architect, Thrive Leads, Thrive Themes etc. Even though the landing page templates aren't as well designed, I really like Thrive Architect's page editor. 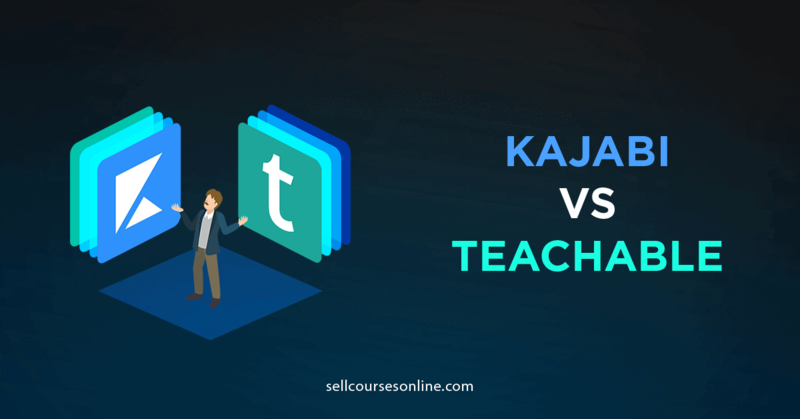 I don't use Thrive Architect (or WordPress) for building landing pages, rather I use it to design my blog posts and all the blogs on this site have been created using the plugin. OptimizePress is another popular WordPress plugin that allows you to build landing pages and sales pages. It has a powerful landing page editor that has 40+ custom elements and you can use it to build all sorts of landing page designs. OptimizePress is very reasonably priced as well. 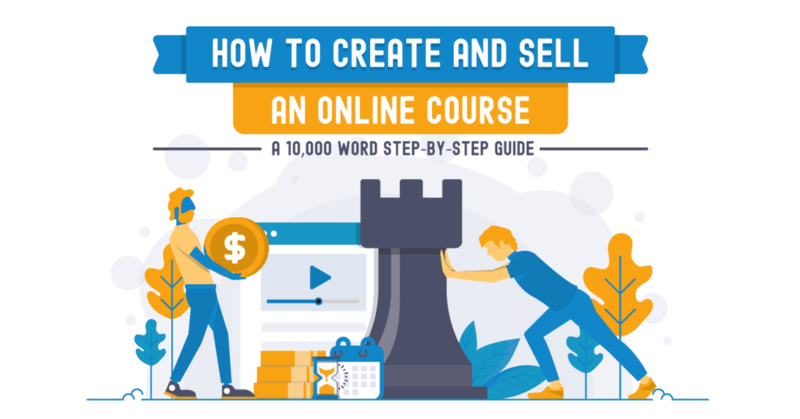 Their most popular plan is called Publisher and costs $197 one-time and it gives you lifetime access to all their features including A/B testing. The support and updates is only for 1 year and you can renew it for $39/year which is again very reasonable. OptimizePress has just about 30 landing page templates and so the library is not as extensive as Thrive Architect. Moreover, other Thrive products like Thrive Ultimatum and Thrive Leads make it more attractive than OptimizePress. However, you should consider using OptimizePress for building your landing pages if you also want to build a membership site on WordPress as OptimizePress can help you do that as well. InstaBuilder 2.0 is a WordPress plug-in that allows you to create beautiful, high converting landing pages. It has 100+ pre-built templates to help you get started quickly. It has an easy to use page builder that you can use to customize page templates. 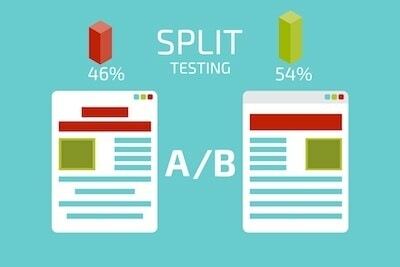 You can run A/B tests on your landing pages using the plugin. There are a few other WordPress plugins (Beaver Builder, Elementor etc.) which people use for building their all sorts of pages. However, these plugins are more of a page builder than a landing page builder. They aren't conversion focused and they lack essential features like A/B testing and this is the reason I haven't included them in the list. As you can see, there are some really good options available for building landing pages and the right solution for your business depends on your specific requirements, your tech ability and your budget. Go for ClickFunnels if you want to sell your products and services and not just collect leads. Go for Leadpages if you're looking for a value-for-money landing page solution for collecting leads. Go for Instapage if you run a marketing agency or have a large marketing team. Go for Thrive Architect if you're WordPress-savvy and are on a really tight budget. Please leave a comment below if you have a question about any the solutions discussed in this guide. If you already have a landing page builder, please share with us which one do you use and why.